Don’t waste your time or money on cliché home décor. You’re more likely to find joy with a series of handmade artwork, custom designs, and oil painting reproductions. 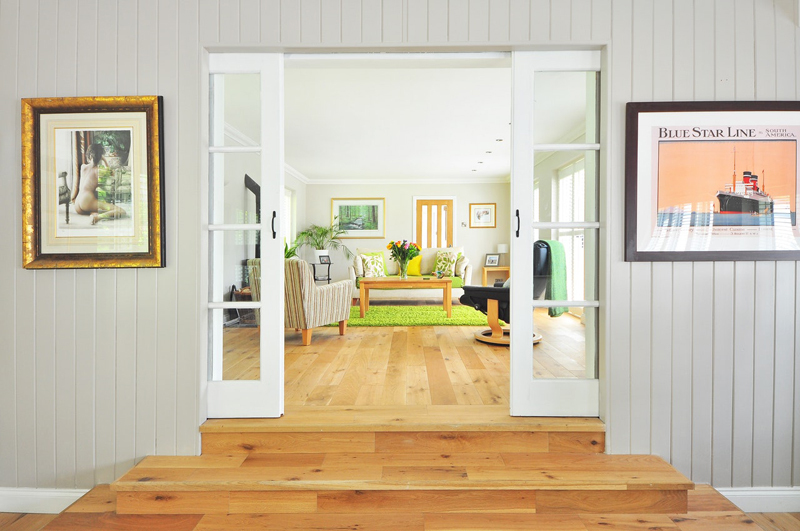 To do that, you’ll want to turn your home into a beautiful art gallery. It’s the perfect way to style your home. You’ll have color and pizzaz in every room. You’ll have conversation starters and things to show off at dinner parties. Not to mention, you’ll be immersed in art every day. Science backs the importance of art exposure for positive mental health. Creating and observing art have been known to reduce stress, encourage creative thinking, boost self-esteem, raise cognitive function, and increase feelings of tolerance, empathy, and love. In short, you can be a better, more productive person by making art the center of your life and your home. Turning your home into an art gallery means focusing less on your furniture and more on what’s on display. This exhibition will test your eye for detail and help you create more cohesive designs. Start by gathering ideas. Use your design goals as an excuse to throw yourself into the art world. Visit local galleries and observe paintings online. Take note of things like color schemes and how patterns work together. Do you have any favorite eras? Which paintings make you feel something? Also, take note of the look and feel of the gallery. You’ll probably see dead space along with monotone colors on the walls and floors to draw more attention to the artwork. Well-placed lighting will also direct your attention to each piece. These are elements that you’ll want to incorporate when designing your own art gallery at home. As you look at paintings, sculptures, sketches, and more, decide on your favorite styles. You don’t have to choose just one. You could dedicate your living room to contemporary abstract oil paints and the bedroom to scenic water colors. Explore a little art history. Define the differences in art from the Renaissance era versus post-modernism work. Which elements do you like best? Chances are, there will be some eras and styles of artwork you’ll like more than others. The most important thing is to choose artwork that speaks to you. It should make you feel something – a passion for art will leave you feeling content, yet alive in your own home. Basically, you want to show off the artwork when guests visit, but also want to enjoy it in solitude. When it comes time to purchase artwork, don’t worry about owning purely original artwork. You might be able to purchase original artwork from locals in your area, but you’ll need millions of dollars if you want a Rembrandt. You can still enjoy the beauty of your favorite artwork with reproductions, like those produced at 1st Art Gallery. You can choose from hundreds of pieces and have them repainted specifically for your home. Try to avoid print copies, though. You want actual oil reproductions of your favorite paintings to give your gallery a feeling of authenticity. When visiting art galleries, you’ve probably noticed dark-colored paint on the walls and light behind each piece. No art gallery is complete without these elements, so you’ll want to invest in such an update. Start by painting the walls. Most galleries choose a dark neutral, ranging from tan to charcoal, in order to help their art displays stand out. Choose a color according to your preference, and paint all the areas where you’ll be displaying art. Avoid patterns and wallpaper that can be distracting. Having the right lighting is perhaps the most important part of your gallery. Each room should have a dimmer switch so you can create the mood lighting you see in galleries. Install light panels around each piece so that they can be viewed in their full glory. pieces whenever the mood strikes, and keep visual interest in every room.